As summer comes to an end and the beginning of school approaches, so does Labor Day. This holiday gives professionals, families and loved ones a three-day weekend to gather for a celebration of sorts. While Labor Day is an enjoyable holiday for millions of Americans, the weekend does increase risks to drivers. According to AAA, an estimated 29.2 million people will be travelling on roads and highways over the holiday weekend, a 4.3 percent increase from last year’s 28 million. With increased traffic comes aggressive driving, speeding and DUIs that all contribute to higher collision rates. The National Safety Council expects 400 deaths related to car accidents this Labor Day weekend. However, as drivers, we can take added precautions to ensure the safety of ourselves and those around us. 1. Get plenty of rest. The night before you drive a long distance, make sure you get at least 8 hours of sleep. 2. Stop as needed. 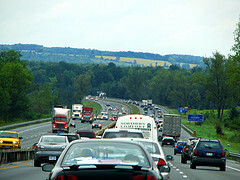 While you may be tempted to drive non-stop for several hours to reach your destination faster, fight that urge. Every few hours, pull over so that everyone travelling with you can stretch their legs, eat a snack or use the restroom. 3. Keep your car in good condition. It is best to conduct routine maintenance on your vehicle, such as oil changes and tire rotations, before embarking on a road trip. Get your vehicle inspected to make sure everything is running smoothly so that you can avoid costly and inconvenient breakdowns. 4. Be prepared for an emergency. Make sure your car is equipped with jumper cables, a jack, a spare tire, flares, a first aid kit, food and other emergency essentials. 5. Drive defensively. Always keep an eye out for other drivers. Follow the posted speed limit, maintain safe distances and avoid weaving or swerving vehicles. Should something appear unsafe, have a passenger call the authorities to report the sighting. If a Labor Day car accident has left you or a loved one injured, please call a Hernando County Auto Accident Attorney at Whittel & Melton at or contact us online 352-666-2121 to discuss your legal options.